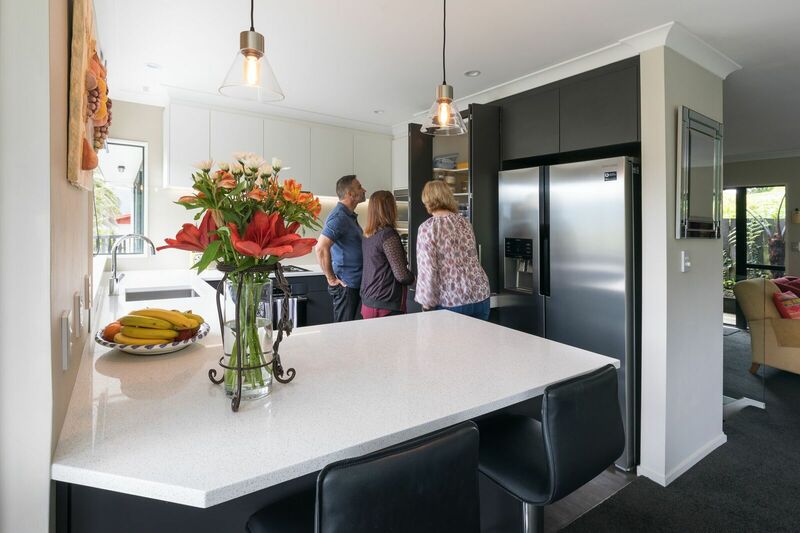 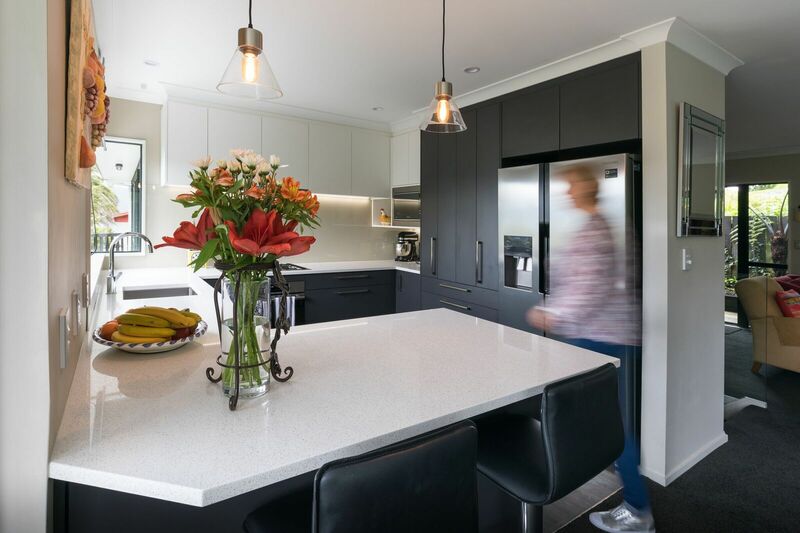 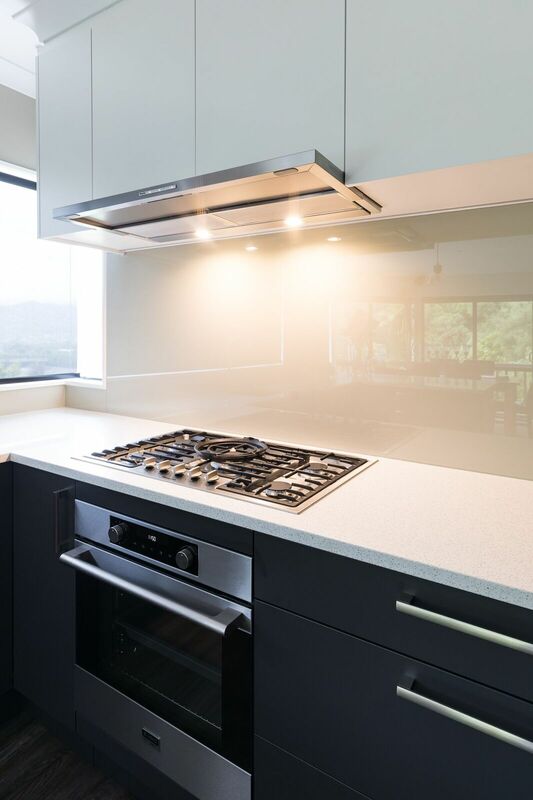 The glass splashback tones in with the wall colour and is subtle yet functional. 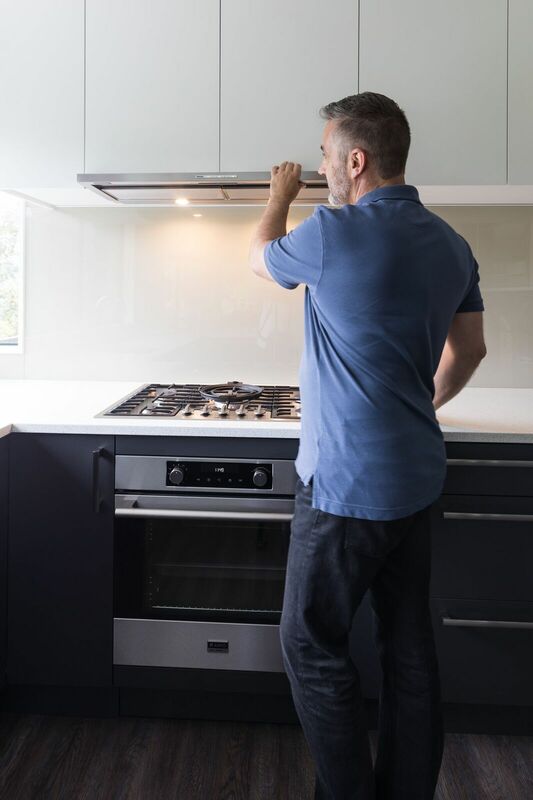 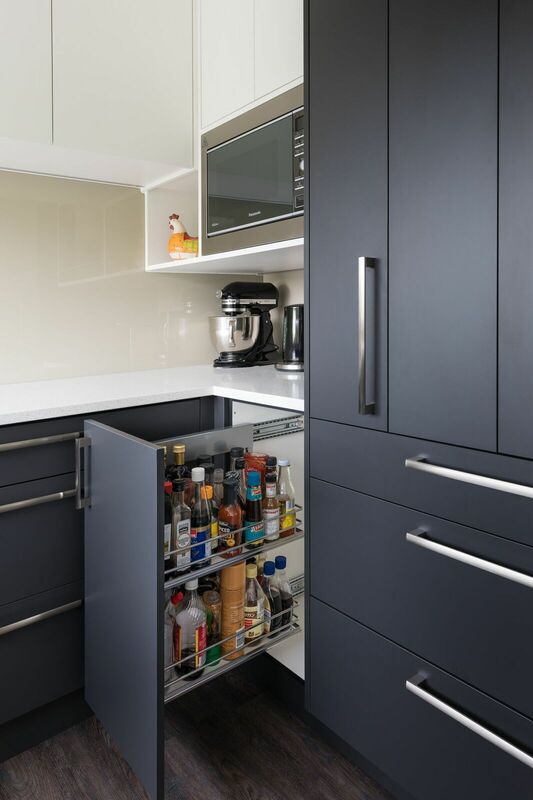 The gorgeous Miele slide out rangehood fits beautifully inside the cabinets. 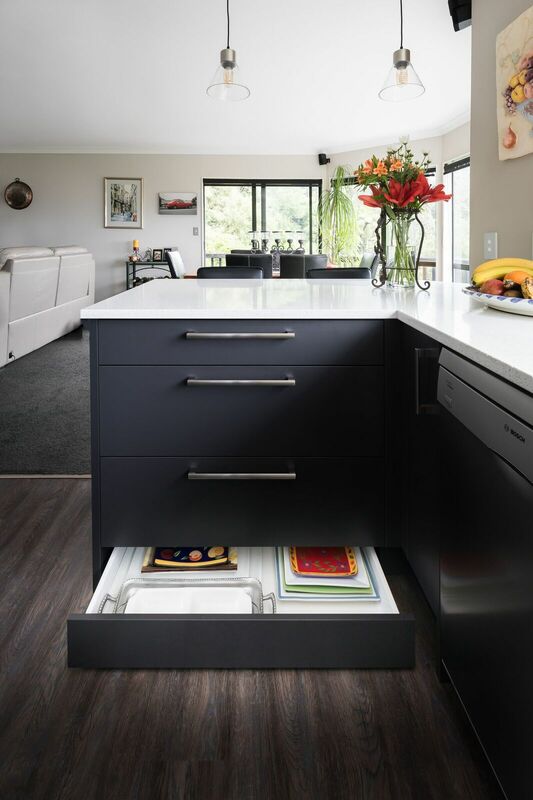 The hidden toespace drawers make the most of unused space and a great place to store your platters or baking trays.